Raleigh residents love their porches, and who can blame them? A beautiful porch allows people to spend time outside, even during the hottest North Carolina summer months. They even make entertaining much easier — no need to concern yourself with the sun or bad weather. 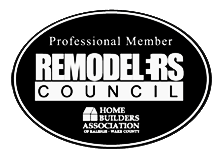 Blue Ribbon™ Residential Construction is a provider of high-quality porch construction and remodeling services. Our skilled, certified designers and builders have renovated and built amazing porches — we specialize in screened porches for the backyard and entryways and porticos for the front. Increase Outdoor Living Space: Grill out, hang out and relax out back — even invite over close friends and family! Eliminate Annoying Outdoor Pest Worries: Leave the bug spray and the citronella candles inside — sit down and enjoy your backyard without swatting away mosquitoes. Cool You Off in Summer: NC sun can be brutal — stay in the shade under the roof of your new porch. We can even install a fan for extra comfort. Blue Ribbon creates unique, inviting front porches that dramatically improve curb appeal. Update a tired, outdated style and transform your home’s appearance to increase its value. Many of our clients find attractive porches, porticos and entries in architectural magazines to give us a starting point for a fresh look — we can begin our design process from there. Blue Ribbon Construction is your local source for beautiful porch design and construction. We proudly serve clients in the Raleigh, Southern Wake Forest, Morrisville, Cary, Apex, Holly Springs, and generally homeowners within 12 miles of the NC State Fairgrounds. Contact our remodeling company online or at (919) 852-3700. Our customer service professionals look forward to assisting you!